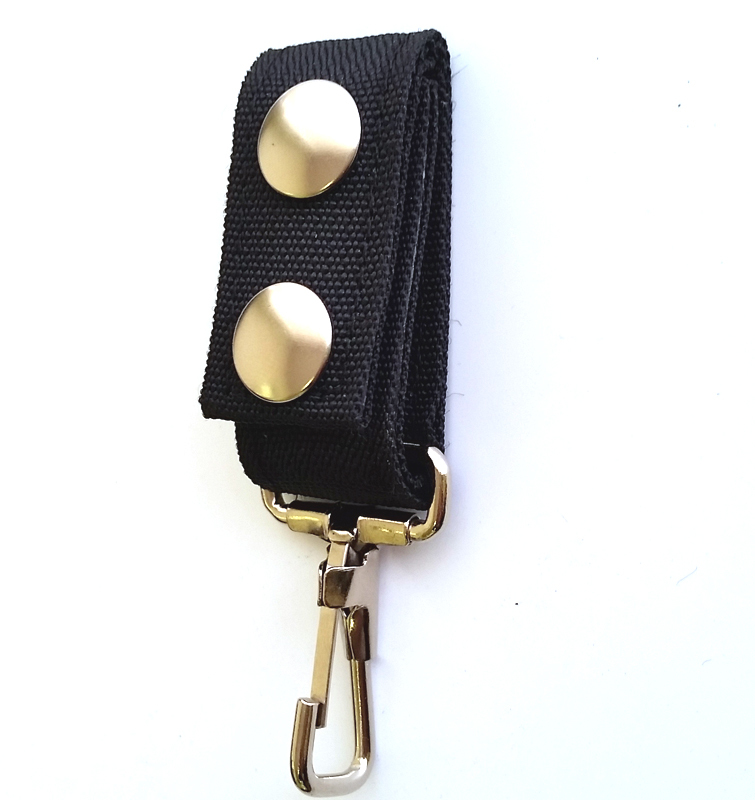 Steel key holder with reinforced nylon strap. Fits 2 inch wide nylon duty belt. Strap is 2 layers of nylon web, fully stitched around the perimeter with plastic stiffeners to keep the nylon flat.